When I met my goddaughter, she was blissed-out, shrimp-pink and all of three hours old. The promises I made her that day, she’ll be the first to know about when the time comes. I haven’t been the best of godmothers, since we lost touch for a few years following her parents’ divorce. The little girl who fell asleep in my lap at the party following her mom’s remarriage has since grown into a 10 year old punk ballerina who is two-thirds legs. And a nose. Whereupon we argued on whether it smelled more of meringue or marshmallow. She also loved Back to Black. Then informed me her perfume was L’Air du Temps though she alternated with a Kenzo she couldn’t remember the name of, but the bottle was blue and it smelled blue, and something for little girls by Bulgari. One of her favorite smells was orange blossom because she loved Oriental pastry even better than chocolate macarons. She found Angel too cloying. She’d fallen in love with a Cacharel perfume mini she’d found in her aunt’s bedroom… Loulou? Loulou, of course. But Amor Amor smelled cheap. She declared that all men’s fragrances had the same fresh out of the shower smell, which she found chemical and hated. She told me that at school when she was younger, she’d had a perfume class and mixed a fruity blend she’d proudly given her mother. Years later, she realized it was a pretty awful mess. So I promised I’d find a children’s perfume course to take her. But what I’d really love to do is drag her around to all my meetings with perfumers. I have no merit whatsoever, yet I can’t help but feel hugely, irrationally proud of my goddaughter. A couple of days ago, Musette from the Perfume Posse posted about who’d inherit her perfume collection. Of course that’s something I’d be asking myself. No longer. My goddaughter is one-of-us. What a great story! She sounds precocious and fun, and you have a perfect perfumista disciple in her. Victoria, I believe her mother has already been doing an excellent job opening her up to the world of scent -- she's very knowledgeable. And I relish the idea of taking it further and bonding through it with such a receptive, intelligent young girl. Lovely, Denyse! The thought of this just makes me smile and get dewy eyed. 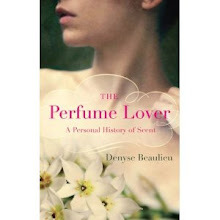 Congratulations, Denyse - she sounds so delightful, and it's wonderful to think of young people really learning and thinking about perfume. Hooray! Happy for you that she grew up into someone you could enjoy. And happy for her that she can connect to you now. Nozknoz, yes, I do have to start budgeting for that, don't I? But I'd love to just go exploring with her first, hear what she has to say... I know By Kilian Love is in the cards -- that is one young lady with expensive tastes! Alyssa, isn't it kind of miraculous? Such a little Parisienne, with her mother into fashion and perfume, and her father a food and wine buff... And well-travelled too. So sweet. If only my niece (4) or my nephew (5.5) turned out that way! When I see them, I always try to generate some olfactory interest. Nature or nurture, only time will tell. You will be the fairy godmother to her, she is so lucky. 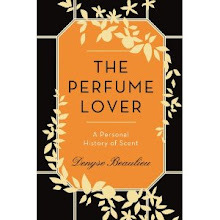 I think this may be one of the very best stories I've ever read on a perfume blog! Thank you Denyse for sharing. Your goddaughter sounds like such a mature and intelligent little person. How wonderful for you. Rappleyea, thanks! It's lovely to be able to share such an unexpected gift as meeting this wonderful little person I met just as she was opening her eyes to the world. I don't remember whether I was wearing perfume that day (I might have not since it was a maternity ward). But her mama wore Shalimar at the time, which isn't a bad start. Definitely take her with you! And why a children's class? She's already heads above that level. Chronological age is irrelevant here, imo. She's lucky to have you, and you her! Valerie, I can't tell you how much I'm looking forward to exploring the world of scents with her, if her parents will allow me... I was just talking about her with a friend of her mother's this evening and we agreed she was a great little lady. Musette, as I've written above, it's all a matter of when my goddaughter is available! She's still quite young, so there's school, and ballet, and lots of other stuff... I can't teach her to blend though, and I'm sure that's something she'd enjoy doing since she said so. So I'll try to find a class that engages her -- my condition being that I can be there to experience it with her! 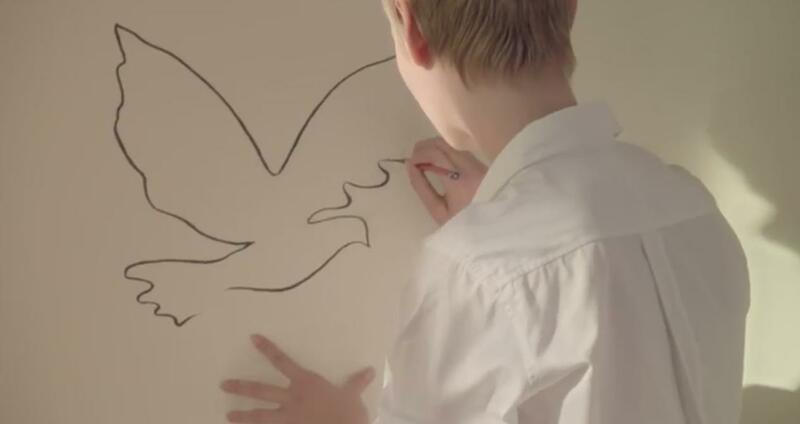 That is so nice. I hope my daughter will have some interest in perfume too. At 2 years she recognizes the plant of lavender ;-). And she sniffs everything. Just like me. Civiva, sniffing everything in childhood seems to be a common trait in many perfumers, which leads me to wonder how many perfume lover's children might grow up wanting to become perfumers... I've never thought of it, but it makes sense. What a charming exchange between you two! No doubt her L'Air du Temps is the vintage perfume. OperaFan, I have no idea which version she wears. What I do know is that there are more bottles in her future!